CAVCOMM is one of the nation’s most respected AV providers. 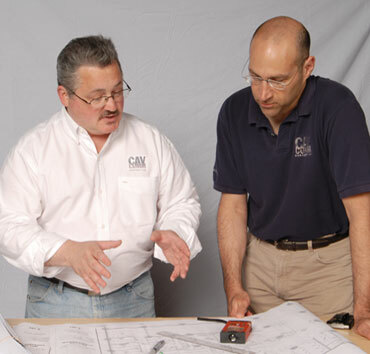 Our engineers and technicians have thousands of hours of experience designing sound and video systems. That’s why difficult environments are our speciality: older churches and auditoriums with reverberation problems; corporate tours in multiple, often-problematic venues; command and control centers needing unusually sophisticated systems. Whether you’re in charge of a corporate road show, a boardroom, auditorium, classroom or cathedral, a trade show display or a video billboard, we have the experience and expertise to make your AV system work well and keep working. We offer complete system design, installation, logistics, staging services, service agreements and repairs. We can also provide referrals for specialists in everything from acoustical enhancement to historic preservation and renovation.